This report and CD Rom outline why eating good food matters for older people and makes suggestions of the types of food and amounts of food that may be appropriate for older people to meet their nutritional needs. 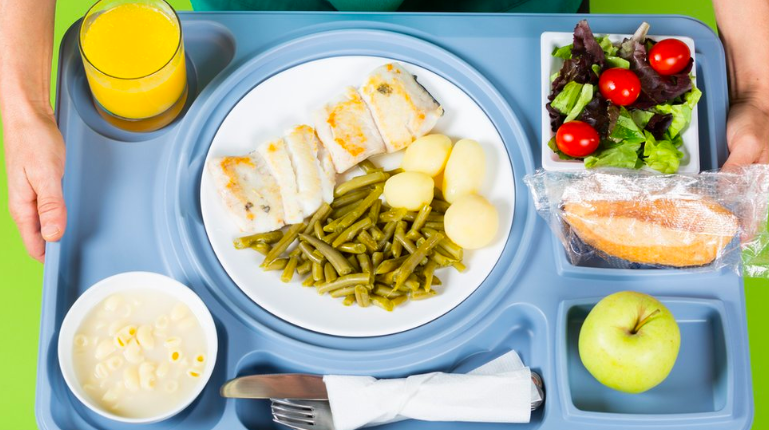 Example menus, meals and snacks are outlined for those who can eat well, those who may require a soft textured diet, a finger food diet or a pureed diet. 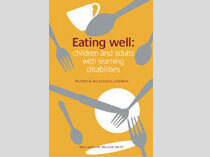 The CD Rom contains over a 100 example meals and snacks with recipes and background information. 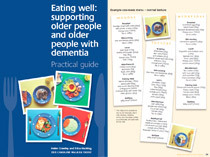 It is hoped that this will be a useful starting point for all those who support older people and older people with dementia to eat well and the materials can be used and developed by anyone who aims to promote better health in vulnerable older people. The free PDF version of this guide has 122 pages containing a report, colour pages and illustrations of recipes and guidelines, but ideally the content is best seen in hard copy with the accompanying CD Rom.